The Fireworks Galaxy has been the source of ten known supernovas over the past century. An amateur astronomer spotted the latest stellar explosion from his backyard observatory in Utah. America’s teen rocketeers, an amateur video of Jupiter, and an amateur supernova discovery. Every week I recap headlines like these from around the world the feature the growing number of people taking space exploration in their own hands. 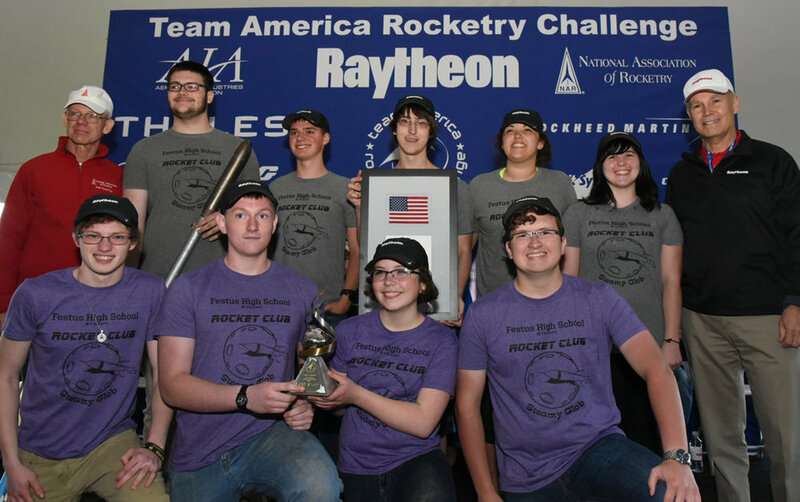 Featured News: Missouri teens become America’s national rocketry champs. Space Makers: Near Space balloon projects get California teens engaged in science, and an Indian teenager’s science project will ride a Nasa rocket this summer. Amateurs in Space: New York teens’ strawberry rhubarb dessert will go into space, other teens are building hardware for Nasa, and space tomatoes help Canadian and American kids study science. Exploring Outer Space: Amateur astronomers create video of Jupiter, citizen scientists discover a nearby star, and an amateur astronomer discovers a supernova. California’s West Ranch High School will send a science project to the edge of space, SCVNews reports. A high altitude balloon will carry their equipment into the stratosphere. Floating about 99% of the atmosphere, the balloon’s cameras will haveview of the cloud-covered Earth below, the atmosphere’s thin blue ribbon on the horizon, and the blackness of space above. Another California community conducts regular missions into the stratosphere. The teens participating in Earth to Sky Calculus send the balloons to the edge of space to measure radiation levels. Their instruments detect cosmic rays and solar storms. And over the 85 flights the group has conducted since 2002, they have observed how Earth’s atmosphere reacts to solar storms. TV station King5 reported on their innovative approach to fundraising. They sell mini billboards that carry advertising towards the edge of space. Indian teen Rifath Sharook will see his 3D-printed experiment ride into space on a Nasa rocket, 3Dprint reports. He is one of the 80 winners in the 2016/17 Cubes in Space competition. In order to encourage more kids to study science, Cubes in Space secured a ride on one of Nasa's Terrier-improved Orion suborbital rocket. It will launch from a Nasa spaceport this summer and soar 75 miles before plummeting to Earth 5 minutes later. The Hunch Culinary Challenge gives teens a shot at preparing dishes for Nasa astronauts on the International Space Station. Ten teams gathered at the Johnson Space Center last month for a final round of tastings. The panelists, including astronaut Karen Nyberg and the space agency’s food scientists, chose a Strawberry Rhubarb Crisp prepared for astronauts by students from upstate New York. Hunch stands for High schools United with Nasa for the Creation of Hardware. The program fosters science and engineering education by giving teens a chance to build hardware for the space agency. Several schools made the news last week for their work as Nasa contractors. Georgia’s Austin High School was one of eleven schools that collaborated on a project to build lockers for the International Space Station, the Decatur Daily reported. Advanced Manufacturing Magazine covered Illinois’ Wheeling High School inauguration into the Hunch program. The Daily News Online met students at the Batavia Career and Technical Education who helped build handrails astronauts use to move about the Space Station. The Conway Daily Sun featured students from New Hampshire’s Kennet High School whose work earned them a VIP visit to the Johnson Space Center. Tomatosphere is an educational program that uses space tomatoes to engage kids in science. In July 2016 a pack of tomato seed rode a cargo mission to the International Space Station. After several months in zero gravity, Nasa and the Canadian Space Agency brought the seeds back to Earth. Now the seeds are arriving at schools across Canada and the United States. The Gaylord Herald Times visited a Michigan school experimenting with these seeds from space. The students will grow the tomato plants side-by-side with plants that never left the ground. This video of Jupiter was made using amateur telescopes. Peter Rosén, a Swedish filmmaker and amateur astronomer, described the process on the Planetary Society’s blog. Amateur astronomers help professional planetary scientists by contributing their images of the planets to the Planetary Virtual Observatory and Laboratory. Amateurs can snap planetary pics more often than the professionals so this archive is a valuable resource for science. Rosén and others collected images that 91 amateurs created in 2014 and 2015 to create a simulated fly-by of Jupiter. An amateur astronomer in Utah discovered a supernova last week, Sky & Telescope reported. Patrick Wiggins’ third discovery, the stellar explosion occurred in the Fireworks Galaxy about 22 million years ago. Other amateur and professional astronomers confirmed his discovery, earning it an official designation as SN2017eaw.